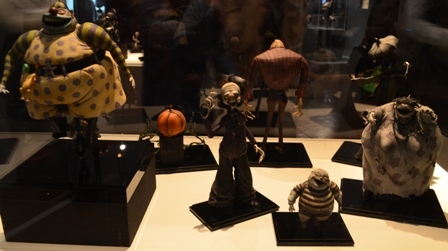 Last weekend I visited the Tim Burton exhibit at the Seoul Museum of Art. The exhibit itself has been around for a few years, starting at the Museum of Modern Art in New York City. It’s now been on a traveling exhibition, and Seoul is the only stop in Asia. 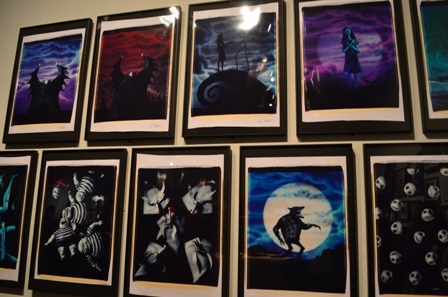 I always liked most of Tim Burton’s movies, so I figured it would be an interesting art exhibition, and was it ever. The exhibit covered artwork he created from his childhood all the way up to his current movies. Artifacts included in the exhibition were childhood paintings, drawings from his movies, models from his movies, and essentially anything that inspired him to create the art and movies he has over the years. 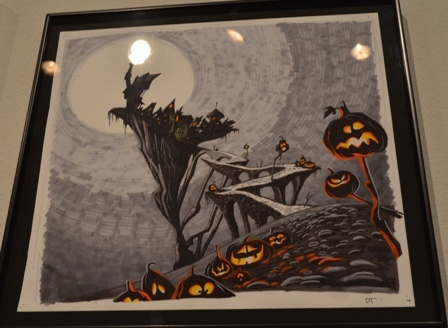 The exhibit was broken up into three areas covering his childhood artwork, his work as an animator for Burbank Studios, and his work as a director and producer of movies that are now deemed “Burtonesque”. It was interesting to see the evolution of his work and the maturation of his creative process. It was also interesting to see what sorts of things inspired him to paint on his own. When he was younger, he seemed to have a real love of freaky clowns, aliens and very large breasted women (but don’t most heterosexual men?) It struck me just how many different sort of art styles exist out there among all the artists of the world for the past several hundred years. I like to frequent art museums of all genres and eras, but I can’t help but marvel at the more modern forms of expression, particularly the more expressionistic and surrealistic styles of artists like Tim Burton. Artists of the Renaissance, baroque and even Impressionism to a large degree, tried to recreate the world as they saw it, or at least a more representational view of their subjects. But 20th century painting styles and beyond have also incorporated very different styles where artists are not just looking to make art that looks realistic, but capture the strange images in their imagination. I too like to create art in my spare time, and lately I’ve been getting back into pastel and watercolor pencils to improve my technique. I tend to favor more landscapes and pictures with bright colors. Most of the work I do are from reference photos I take on my travels. So I tend to try and be as reasonably representative as possible when I recreate these images as paintings. That’s the kind of art that comes natural for me to make. But I have to admit to a twinge of jealousy when I see artists like Tim Burton (and others) who create art from their sheer imagination. They aren’t looking to recreate reality exactly, but rather create their own version of reality or bring their imagination to life. I can only imagine what sorts of things go on in these artists’ heads and what drives them to see the world the way they do and create the art they do. I enjoy being being transported into the fantasy worlds they create, and it was very easy to get lost in the different worlds Tim Burton has created over the years through his art and his movies. As you walk through the exhibit, you get a real feel for what something means when it is called “Burtonesque.” Tim has several motifs and styles he likes to use in many of his artwork. Examples include stripes and swirls and the strange, almost grotesque shapes of his animated creatures. Particularly with his later, more mature work, it is easy to look at a piece of art and know immediately Tim Burton was the person who created it. 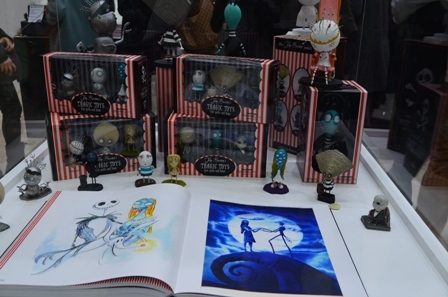 Now, no art museum exhibit would be complete without a visit to the merchandise store, and Tim Burton’s exhibit was no exception. 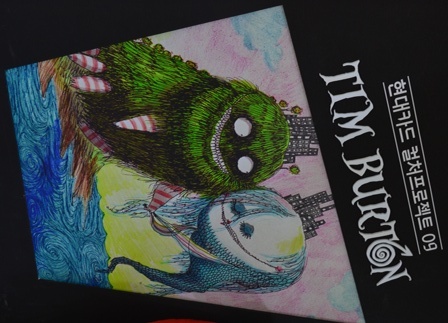 Among the magnets, prints, postcards and the like available for purchase, was the comprehensive Tim Burton art book. And this book doesn’t screw around. I feel you absolutely get your money’s worth with this purchase. It is a huge book, both in size dimensions and number of pages. It includes over 400 pages filled with his artwork over the years. It’s makes a great doorstop :), but more than that, I bought it to sort of serve as inspiration to make future artwork. I can look through all the pages and see what Tim Burton has created over the years through the sheer force of his imagination, and appreciate it whenever I want. I can also use his work to inspire me to further my own artistic abilities. Maybe one day I’ll get to the point where I can create the art that goes through my head rather than just what I see in a photograph in front of me. This entry was posted in Art, Travel and tagged creativity, expressionism, imagination, inspiration, paintings, Seoul Museum of Art, surrealism, Tim Burton.